The Golden Joystick Awards are in full swing at the Bloomsbury Big Top in London this evening and, alongside all the celebrations of this year’s best in gaming, the event is packed full of exclusive new trailers for some of the most exciting new titles on the horizon. Case in point? Say hello to Gris, a miasmic indie platformer due to release next month. Developer Nomada Studios and publisher Devolver Digital debuted a brand new trailer for the game at the Golden Joystick Awards just moments ago, and you can watch it right here. It’s a breathtaking showcase for the game’s aesthetic beauty, with a moving watercolour palette that wouldn’t look out of place in an art museum. 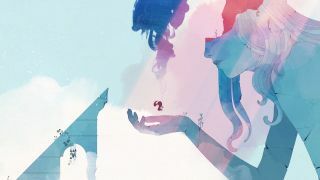 Gris is centred around a girl navigating the abstract environments of her own, traumatised subconsciousness, serving up light puzzles and platforming challenges set to a breathtaking original soundtrack. This is the first project for the Barcelona based Nomada Studio, but we can already tell it’s going to be something super special.